On June 15th, 2011, the U.S. Consumer Product Safety Commission, in cooperation with Target Stores nationwide, announced a voluntary recall of their Circo Child Booster Seats, due to a fall hazard design defect. Consumer’s should be aware that the booster seat’s restraint buckle can open unexpectedly, allowing a child to fall from their seat and be injured. 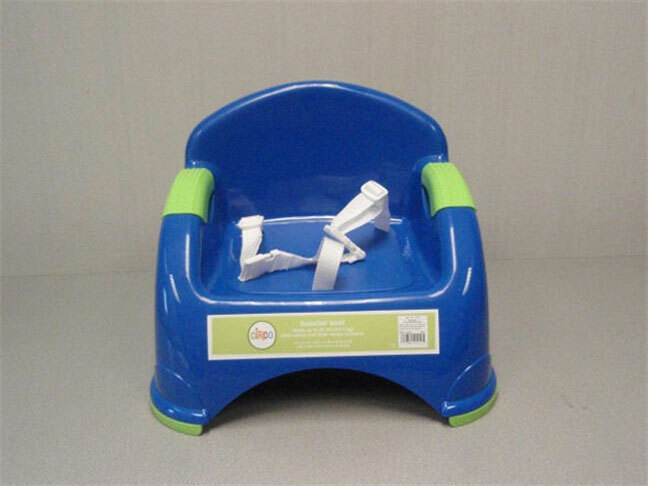 Approximately 375,000 of these products were sold exclusively at Target stores and an additional 43,000 of these booster seats were previously recalled in August of 2009. As of June 15th, 2011, Target has received 10 additional reports of booster seat buckles opening unexpectedly (in addition to those received from the original recall in August of 2009) including three reports of bumps and/or bruises when a child fell forward out of the booster seat, hitting an object or the floor. This expanded recall involves all Circo Booster Seats, including those sold as early as 2005. The plastic booster seats are blue with green trim and a white plastic restraint buckle. They attach to an adult chair to boost a child to a table. “Circo” and “Booster Seat” can be found on a green label located in the front of the booster seat. These products were sold exclusively at Target stores nationwide from January 2005 through June 2009 for about $13 and they were manufactured in China. Consumers should immediately stop using the recalled booster seats and return them to any Target store for a full refund or for additional information, they can contact Target at (800) 440-0680 between 7 a.m. and 6 p.m. CT Monday through Friday, or visit the Target’s website.